The US will not prevent the Gulf states, Arab nations, and others from providing emergency funding to keep UNRWA (the UN’s Relief and Works Agency for Palestine Refugees) functioning this year, Israel’s Hadashot TV news reported on Saturday. US administration step is a political one as it intends to get rid of Palestinian refugees cause that maintained by UNRWA presence. US conditions its consent to further funding by US allies in the Arab world on a reevaluation of UNRWA’s role and a redefinition of who the agency defines as a Palestinian refugee. Ultimately the TV report said, the US goal is to “close down UNRWA altogether. The US, which is shortly set to issue a report on the whole Palestinian refugee issue, in which it will reportedly state that there are only some 500,000 Palestinian refugees — as opposed to the 5 million-plus reportted by UNRWA — considers that there are only some 20,000 genuine Palestinian refugees outside the West Bank and Gaza Strip, the TV report also said. Announcing an end to all its funding for UNRWA, the US State Department in a statement Friday castigated the agency for failed practices, and indicated that it rejected the criteria by which UNRWA defines Palestinian refugees, whereby the UN agency confers refugee status not only on original refugees but on their millions of descendants. 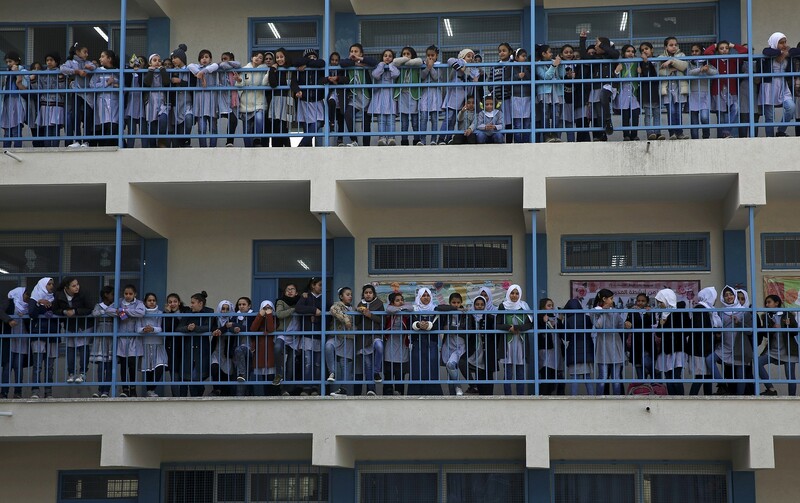 The US supplies nearly 30 percent of the total UNRWA budget, which provides health care, education, and social services to Palestinians in the West Bank, Gaza Strip, Jordan, Syria, and Lebanon. The withdrawal of US funding will leave UNRWA facing a financial crisis, but officials noted that Saudi Arabia, Qatar, the United Arab Emirates, and others have provided more than $200 million in new funding to help cover its budget this year.